5.3???? Notice of Motion - Request for Leave -? Cr Janet Court - 18 December 2010 to 14 January 2011 ? 10.6?? Nambucca Heads Skate Park - Further Surveillance Report ? 11.3?? Natural Disaster (Flood) Restoration Program ??? AUTHOR/ENQUIRIES:???? Michael Moran OAM, Councillor ???????? The volunteer group Joan?s Army are no longer in a position to clean up the tree dropping under and around the trees on the riverbank on River Street Macksville, nor are they able to wash down tree droppings and other mess and rubbish from the tables and benches.? In order for this area of the Macksville riverbank to be suitably clean for residents and visitors it will be need to be maintained by Council staff?at a cost. That a report be provided to Councillors regarding the cost of Council staff labour for cleaning the River Street Macksville riverbank that was previously cleaned by the volunteer group, Joan?s Army. The Nambucca Valley Conservation Association instigated a Class 4 action against Council through the Land and Environment Court in regard to its processing and ultimate determination of a Community Title Subdivision comprising 5 Rural Residential Lots and 1 Community Title Lot over Lot 2 DP 548175, 346 East West Road Valla at its 21 August 2008 Council meeting. That a report be provided to Councillors regarding the cost to Council in regard to Local Environment Court challenge by Nambucca Valley Conservation association in regard to DA2004/136, including the itemised cost of solicitors, barristers, defenders, court, staff wages, photocopying, staff travel, meals and accommodation. AUTHOR/ENQUIRIES:???? Janet Court, Councillor ???????? Leave of absence is requested for the period 18 December 2010 to 14 January 2011 inclusive, for personal reasons. That Cr Janet Court be granted leave of absence in accordance with Section 234(d) of the Local Government Act for the period 18 December 2010 to 14 January 2011 inclusive. 1st quarterly report received? - to be reported to Jan 2011 GPC. In relation to the Macksville Memorial Aquatic Centre, that Council receive a report on funding sources for the projected expenditure which will be required to maintain the facility. Discussions commenced with S94 Coordinator.? Grants Officer will investigate external grant options further.? November 2010. Deferred to incorporate with Asset Management Plan for Pool. Council?s Ranger to continue surveillance of the Skate Park and provide another report on the outcome of the surveillance. Defer to 2 December 2010. Council consider allocation of $20,000 in September 2010 Budget Review for the completion of the SES extensions. Proceeding with replacement of failed unserviceable air-conditioning units $6,000 to $8,000 immediately as an OH&S issue.? $20,000 for extensions to come to September Budget Review in December 2010. Council is required to make declarations under Section 413(2)(C) of the Local Government Act, Local Government Code of Accounting Practice and Financial reporting as per the following recommendations and detailed in the discussion. 1??????? That the Mayor, one other Councillor, the General Manager and Responsible Accounting Officer be authorised to sign the Statement on the General Purpose Financial Reports by Councillors and Management made pursuant to Section 413(2)(C) of the Local Government Act. 2??????? That the Mayor, one other Councillor, the General Manager and Responsible Accounting Officer be authorised to sign the Statement on the Special Purpose Financial Reports by Councillors and Management made pursuant to the Local Government Code of Accounting Practice and Financial Reporting. Council?s financial reports must include a statement in approved form as set out in Sect. 215 of the Local Government (General) Regulation as to its opinion on the general purpose special purpose financial reports. The declarations are required under the Local Government Act and Local Government Code of Accounting Practice and Financial Reporting and therefore needed in order for the audit to be finalised. Council has the option to form another opinion on the Financial Reports bearing in mind that audit will need to be deferred until Council agrees to make a statement on the Financial Reports in the approved form. Council at its meeting on the 4 November 2010 resolved to adopt the June Budget Review Financial Report for the year ended 30 June 2010 subject to the Financial Statements being audited by Council?s Auditor. The audit is scheduled to be completed to allow the audited Statements to be provided to the Department prior to Council?s extension date of the 30 November 2010 and presented to the Public prior to the end of December 2010. A further report of the results for 2009/2010 will be presented to Council prior to presentation to the public. In accordance with the requirements of Section 413(2)(C) of the Local Government Act and the Local Government Code of Accounting Practice and Financial Reporting, Council is required to prepare statements in the approved form as to its opinion on the general purpose and special purpose financial reports. ???????? The Local Government Asset Accounting Manual. ???????? Accord with Council?s accounting and other records. 3????????? That we are not aware of any matters that would render the reports false or misleading in any way. The Statement must be made by resolution of Council and be signed by the Mayor, at least one other Councillor, the Responsible Accounting Officer and the General Manager.? The Statement has to be completed and attached to the relevant annual financial reports to the audit process can continue. The Special Purpose Reports Statement must also be signed by the Mayor, at least one other Councillor, the Responsible Accounting Officer and the General Manager. ?????? NSW Government Policy Statement ?Application of National Competition Policy to Local Government? ?????? Department of Local Government guidelines ?Pricing & Costing for Council Businesses:? A Guide to Competitive Neutrality?. ?????? The Department of Water and Energy Practice Management of Water Supply and Sewerage Guidelines. 3????????? That we are not aware of any matter that would render the reports false or misleading in any way. Financial implications were discussed as part of the 30 June Budget Review presented to Council at its meeting 04 November 2010. Results for the year ending 30 June 2010 will be finalised in report on the audited Financial Statements. Council?s financial statements have been delayed due to implementation issues associated with the conversion of Council?s corporate software. The Roads and Traffic Authority (RTA) have provided Council and the community with the opportunity to make a submission to a safety investigation and speed zone review of the Pacific Highway between Nambucca Heads and Urunga. Submissions have to be with the Grafton Office of the RTA by Tuesday 7 December 2010. That Council, again, support Ms Lang?s observations in a submission to the Roads and Traffic Authority on the safety of the Pacific Highway between Nambucca Heads and Urunga. Council can elect to make a submission to the RTA or not. Council has been advised by the RTA?s Grafton Office that it is conducting an urgent safety investigation and speed zone review of the section of the existing Pacific Highway between Nambucca Heads and Urunga.? The RTA office has sought Council?s assistance in eliciting community opinion as to how the safety of this section of the Highway can be improved. The RTA is seeking community response by Tuesday 7 December 2010.? The matter has been listed on Council?s website.? It is also understood that the RTA will lodge advertisements in local media regarding the review.? The opportunity exists for Council to make a submission. ?????? the lack of a median barrier to prevent head-on accidents. It is recommended that Council, again, support Ms Lang?s observations in a submission to the RTA. The RTA is seeking community input into their safety investigation and speed zone review of the Pacific Highway between Nambucca Heads and Urunga. The recent tragedies along this stretch of the Highway have profound social impacts on next of kin and the community generally. There is no risk to Council in making a submission. Council is the Reserve Trust Manager for Crown Reserve 81262. Within the Reserve is a lagoon upon which is a pontoon that has been licensed to the operator of the White Albatross Caravan Park since 2005. The current Licence is due to expire at the end of this calendar year. The Licensee has requested a further licence term. The Department of Lands has advised that they do not oppose in principle the issue of a new licence on the proviso the licence fee is consistent with their current pricing structures. In this instance the pricing structure determines the pontoon rent at $763.20 per annum (exclusive of GST). It is recommended that a Licence be renewed for a further 5 year term subject to the Ministers consent. 1??????? That Council in its capacity as Reserve Trust Manager for Crown Reserve R81262 grant a Licence for a period of five years to the current operator, White Albatross Caravan Park, for the use of the pontoon within Reserve R81262 subject to the terms and conditions deemed necessary by Council?s Legal Advisor. 2??????? That Council in its capacity as Reserve Trust Manager for Crown Reserve R81262 authorise the Mayor and the General Manager to execute all necessary documents to give effect to the Licence by the Reserve Trust Reserve Trust Manager for Crown Reserve R81262 to the current operator of the White Albatross Caravan Park for the use of the pontoon within Reserve R81262. 1????????? Council can elect to not renew the Licence. In such event the current Licence provides for the Licensee to remove the structure within 28 days of the termination the Licence. 2????????? Council can elect to grant a Licence for a different time frame. Given the relatively low rent it is not considered feasible to attend to Licence renewal for terms less than 5 years. The pontoon structure is anchored within the lagoon adjacent to the V-wall at the end of Wellington Drive in Nambucca Heads. It is understood that the pontoon is a popular facility amongst locals and holiday makers alike over the summer period. Council in its capacity as Reserve Trust Manager, has previously Licensed the use of the Pontoon to Mr Richter, who is the operator of the White Albatross Caravan Park. The current Licence is for a period of 5 years and is due to expire in December of this year. Amongst other terms under the Licence the Licensee has been required to maintain the structure in a clean, tidy and safe condition. Likewise the Licensee has been required to monitor the water quality within the lagoon on a periodic basis. It is suggested that any new Licence Agreement perpetuate these conditions as a minimum. Based on the Department of Lands rent determination formula the rent for the pontoon will be $763.20 per annum (exclusive of GST) and subject to annual CPI increase. The recommendations do not give rise to any environmental issues. It should be noted that the Licence requirement for monthly water monitoring will be useful, data to be used in the State of the Environment Report. The recommendations do not give rise to any additional risk issues. In June this year Council resolved to note the deficiencies in the current pool reserve and reserve contribution rates for the Macksville Memorial Aquatic Centre.? The deficiencies were reported in the audit report by Stevenson and Associates, an engineering firm specialising in public swimming pools. This report is submitted in response to Council?s resolution to investigate alternative funding models to meet the reserve deficiencies. There are few option available to Council in this regard. Contributions from General Funds are the only mechanism to build reserves at a constant and assured rate.? Building a Reserve balance will enable Council to apply for grants requiring co-contributions. MANEX advises that raising additional monies through Section 94 Contributions is not practicable because the funds generated by our future population compared to the existing population will be insignificant and not worth collecting. It is foreseeable that a further loan can be obtained to finance emergency work but in such event consideration must be had to the source of funds to service such a loan. The recent experiences of neighbouring councils being required to spend substantial amounts on their pools (which are incidentally of similar age and design) underscores the importance of ensuring that there are sufficient reserves for this Council to attend to the same works as and when required. 1??????? That Council endeavour to increase the reserve for the Macksville Memorial Aquatic Centre with an indexed annual contribution of $119,000 commencing in 2011-2012 and that this be considered in the budget for 2011-2012. 2??????? That the existing reserves for the pool and pump replacement be amalgamated. There are no feasible options, particularly given the current experience of Coffs Harbour City and Port Macquarie Councils. Any increase in the current level of Reserve contribution rates would be an improvement on the current state.? It would be imprudent to ignore the Consultant?s advice entirely. The pool is now over 50 years old with the associated grandstand, concourse and pool, plant room infrastructure of similar age and condition.? To date it has been maintained well by Council staff and is operating satisfactorily. The chlorination system has been replaced with a fresh water chlorinator which is a system that uses electrolysis to produce the chlorine required to sterilize the pool water. It is projected that the anticipated savings from the system, vis a vis the savings in chemical purchase and delivery and the associated saving in operating a safer chemical handling system will result in a break even point within four years.? The Chlorinator electrodes last 75,000 hours (around 8 years) with the cost of replacement electrode being around 60% of the cost of new EcolineTM system. The pool pump and motor for the outdoor pool have been acquired and will be installed during the next off season. It is projected that the new pump and pump will service the pool for at least ten years without major expenditure. By way of example, in both of the above cases should these works have been required as an emergency measure there would have been insufficient reserves available to meet the costs.? Likewise there was no forward plan to anticipate and plan for the maintenance and replacement costs.? The latter is being addressed by staff in the compilation of an asset management plan under guidance from the Asset Manager. Stevenson & Associates, an engineering and consultancy firm specialising in public swimming pools, was commissioned to compile a plant audit of the outdoor, hydrotherapy and toddler pools. ?????? maintenance costs over and above preventative maintenance for time period 1-5 years, 6-10 yrs and 11-20 yrs. Whilst not a compliance audit we also requested the Consultant to comment on areas which were obviously noncompliant with current Health Regulations and Occupational Health and Safety requirements. The assessment identified a significant deficiency in our current reserve and reserve contribution rate. The assessment proposes annual expenditure for each time frame as costs likely to be incurred over and above preventative maintenance.? As a starting point it is recommended that the pool reserves be increased to meet these estimates. The assessment also identifies plant that is likely to require replacement either due to obsolescence or to ensure code compliance.? The time frame to affect such work has been projected over the next five years and amounts to $700,000.? It is proposed that this amount be factored into the ten year Reserve Contribution plan. The assessment has not addressed the grandstand, office or amenities. The air conditioner in the hydro pool has also not been addressed in the audit. The pool infrastructure is aging. There is an increasing risk of major structural and plant failure as a result. Having regard to the recent experience of neighbouring councils there is also a real risk of being unable to meet emergency works with available funds. The recommendation does not affect current budgets. Future budgets will need to account for the recommended (or resolved) reserve contribution rates. The Unkya Reserve Committee of Management has proposed a plan for the long term use of the Reserve which is circularised.? The plan provides for an equestrian area and rugby league field.? The proposed rugby league field would also be available for athletics and other sporting events.? The equestrian area is sufficiently large for dressage and hacking as a standard dressage arena measures 60m x 20m.? However the Congarinni Pony Club believe the allocated area is inadequate. 1??????? That Council advise the Congarinni Pony Club that their activities on the ?oval? area of the Unkya Reserve will be restricted in accordance with the circularised plan. 2??????? In the event the Congarinni Pony Club wishes to continue with their use of the Unkya Reserve, that Council construct a post and rail fence to restrict the equestrian activities on the ?oval? area, following which Council proceed to repair the oval so that it can be used for other sporting activities. 3??????? That the Unkya Reserve Committee of Management and the Principal of the Eungai Public School be advised that they will need to submit an event application and risk assessment for the Ray Hadley 2GB Continuous Call Broadcast and meet any costs associated with the approval. The Eungai Public School also propose to use the celebrities to participate in a dinner and charity auction at the Macksville RSL on the evening of Friday 27 May 2011.? On the Saturday the Continuous Call Team would conduct their show from the Unkya Reserve and also call a junior football match. There have been two meetings with the Congarinni Pony Club in an endeavour to identify another suitable venue for their activities.? Three proposals were put forward being the southern end of Donnelly Welsh Fields, Farringdon Fields or the Showground but for various reasons none of these alterative venues are suitable to the Pony Club.? It has also been suggested to the Congarinni Pony Club that Council?s support for equestrian activities in the Nambucca Valley is hindered by having two Clubs, and whether or not past disagreements can be put aside so that the two Clubs can merge to operate from the Macksville Showground which has the best facilities for equestrian activities and the space for a covered dressage arena. The Committee of Management seek Council?s assistance in providing a post and rail fence to restrict the equestrian activities to the area shown on the plan and in preparing the rugby league field for play by top dressing or other work to ensure a smooth grassed surface.? There are also some weeds and trees in the proposed dressage arena which would need to be removed. It is recommended that the Committee of Management be supported in their endeavours.? The Ray Hadley 2GB Continuous Call Team should be a significant fund raiser for the Eungai School and provide valuable promotion for the Eungai area and the Nambucca Valley in general. The Unkya Reserve Committee of Management and the Eungai Public School should be responsible for submitting an events application and risk assessment and for any costs arising out of that approval.? For example, depending upon the anticipated crowd there will likely be a requirement for port-a-loos and possibly traffic control on Saturday 28 May 2011. Council has received a quote for the provision of 100 m of post and rail fencing, bolted with two strands of wire and a farm gate for $4,000.? Repairing divets and removing trees and weeds from the equestrian area is estimated at $6,000. There is no provision in the budget for this work. The only source of funding to undertake the work is working funds. That Council endorse the Minutes of the Committee of Management for the Macksville Showground?s Annual General Meeting held on 27 September 2010 and thank the outgoing Committee for their work in the past twelve months. That Council consider the rehabilitation of the internal roadway at the Showground in its 2011-2012 budget. The Annual General Meeting of the Macksville Showground Committee of Management was held on 27 September 2010. That Council endorse the Minutes of the Committee of Management for the Bowraville Folk Museum?s Annual General Meeting held on 17 August 2010 and thank the outgoing Committee for their work in the past twelve months. The Annual General Meeting of the Bowraville Folk Museum Committee of Management was held on Tuesday 17 August 2010. The report acknowledges the Minutes of the Annual General Meeting of the Crosswinds Wetlands Nature reserve Committee of Management and the new Committee.? Copies of the Minutes of this meeting and the Financial Statement are attached. That Council endorse the Minutes of the Committee of Management for the Crosswinds Wetlands Nature Reserve?s Annual General Meeting held on 23 September 2010 and thank the outgoing Committee for their work in the past twelve months. The Annual General Meeting of the Crosswinds Wetlands Nature Reserve Committee of Management was held on Thursday 23 September 2010. The report acknowledges the Minutes of the Annual General Meeting of the Valla Beach Urban and Hall Committee of Management and the new Committee.? Copies of the Minutes of this meeting and the Financial Statement are attached. That Council endorse the Minutes of the Committee of Management for the Valla Beach Urban and Hall?s Annual General Meeting held on 15 November 2010 and thank the outgoing Committee for their work in the past twelve months. The Annual General Meeting of the Valla Beach Urban and Hall Committee of Management was held on Monday 15 November 2010. The report acknowledges the Minutes of the Annual General Meeting of the Talarm Hall Committee of Management and the new Committee.? Copies of the Minutes of this meeting and the Financial Statement are attached. That Council endorse the Minutes of the Committee of Management for the Talarm Hall Annual General Meeting held on 16 November 2010 and thank the outgoing Committee for their work in the past twelve months. The Annual General Meeting of the Talarm Hall Committee of Management was held on Tuesday 16 November 2010. The report acknowledges the Minutes of the Annual General Meeting of the Taylors Arm Reserve Committee of Management and the new Committee.? Copies of the Minutes of this meeting and the Financial Statement are attached. That Council endorse the Minutes of the Committee of Management for the Taylors Arm Reserve Annual General Meeting held on 14 November 2010 and thank the outgoing Committee for their work in the past twelve months. The Annual General Meeting of the Taylors Arm Reserve Committee of Management was held on Wednesday 10 November 2010. The report acknowledges the Minutes of the Annual General Meeting of the Burrapine Public Hall Committee of Management and the new Committee.? Copies of the Minutes of this meeting and the Financial Statement are attached. That Council endorse the Minutes of the Committee of Management for the Burrapine Public Hall?s Annual General Meeting held on 14 November 2010 and thank the outgoing Committee for their work in the past twelve months. The Annual General Meeting of the Burrapine Public Hall?s Committee of Management was held on Sunday 14 November 2010. Meting held on 16/11/10 and outstanding issues resolved. Modification applications to be finalised by mid-December. DA to be deterred by JRPP, Briefing report for GPC meeting on 15/12/10. Attached for Council?s endorsement is a copy of the Minutes of the Nambucca River, Creeks, Estuary and Coastline Management Committee Meeting held on Friday, 12 November 2010. There are no recommendations from the Committee which require an action of Council. That the Minutes from the Nambucca River, Creeks, Estuary and Coastline Management Committee Meeting held on Friday, 12 November 2010 be endorsed. A number of matters were discussed at the Nambucca River Estuary and Coastline Management Committee meeting held on Friday, 12 November 2010. Each of the matters was presented through detailed reports. The matters presented to the Nambucca River, Creeks, Estuary and Coastline Management Committee for consideration and discussion provided an assessment on the environmental impacts. That Joy van Son be chairperson for the meeting due to Cr Ainsworth?s inadvertently being detained for the majority of the meeting. That the Committee note the adoption, resolutions and endorsement of recommendations of the Minutes of the Meeting held 13 August 2010, by Council at its meeting of 2 September 2010. Fay Lawson voiced her concerns with Council?s addition to the Motion in regard to the predicted flood levels and that residents are not being informed of the potential for a large rise in the flood levels. Concern was raised in regard to Council?s liability for not informing the public. The Director advised that the Flood Study in question is not a Council document but a report prepared on behalf of the RTA through the Environmental Impact Statement for the proposed Pacific Highway Bypass of Macksville. Further, that Council has sought a Peer Review of the Flood Study which the RTA have commissioned a Consultant to undertake. That the Committee note that Council has endorsed the Ministerially approved consolidated 2010?2012 Environmental Levy program and budget. The following verbal reports were presented. Water Quality Testing ? Oysters as part of Environmental Levy is noted and appreciated. Enquired as to the discussions between the Food Authority and Council in regard to access to on-site effluent disposal and monitoring reports. Greg to follow this up with Phil Gall as it is understood Council is in contact with the Food Authority. Phil Gall discussed the issue with Ms Spens-Black at the conclusion of the meeting. Advised that two applications for moorings on the river ? one in the inner harbour/back creek opposite the RSL for an 8m vessel. The second in Warrell Creek. With the small floods over the last 12 months there is a lot of debris floating in the rivers ? do we have signage to warn of this debris? Maritime to look at whether they have standard signs which may be used. In regard to the community grants from Environmental Levy ? how do we get the information out to the community? An advertisement/ media release will be issued shortly, now that the final Environmental Levy will be endorsed, noting that funds have already been expended on the flying fox issues at Bowraville. There being no further business the Mayor then closed the meeting the time being 10.16 am. With the completion of the new floating pontoon, sandy beach and improved traffic management facilities at the Ferry Street boat ramp and car park, it is necessary to instigate controls to maintain good amenity in this area and ensure the new car and boat trailer parking provisions are used for their intended day use purposes. The purpose of this report is to outline some of the issues being encountered since the completion of the works and to approve the erection of appropriate signage to enable the Police and Council to enforce the provisions for non compliance. 1????????? That Council erect appropriate signage at the Ferry Street Boat Ramp and Car Park area indicating the area is for day users only and prohibiting campfires, overnight camping, overnight van or motor home use, parking of vehicles over 4 tonne and consolidation of all existing signage to minimise any visual impact on the area. 2????????? That Council erect car and boat trailer parking only signage in the area immediately adjacent to the Ferry Street boat ramp and floating pontoon. 3????????? That Council's Ranger regularly patrol this area for compliance once the signs are erected. 4????????? That Council write to the Nambucca River Users Group thanking them for their significant contribution towards the works at the Ferry Street Boast Ramp and Car Park. Council could choose not to prohibit overnight camping, however this is likely to affect the use of the area for day visitors and river users. Through a collaborative process with the Nambucca River Users Group, NSW Maritime and the Department of Environment, Climate Change and Water, Council has been able to complete major improvements at the Ferry Street boat ramp and car park. ?????????????? Reshaping, rehabilitation, improved drainage and formalisation of the traffic management and parking arrangements. Except for the first dot point above which was a separate component, the remaining works have been funded through a $31,000 NSW Maritime grant, a $32,000 DECCW grant, works in kind to the value of approx $15,000 by the members of the Nambucca River Users Group and funds from the Environmental levy of approximately $17,300. This demonstrates the significant benefits where the Environmental Levy and community in-kind support can value add with $17,300 converting to a $95,300 environmental management project and providing a valuable community asset which will reduce environmental damage to the river and riverbank. Since the completion of the works Council has found that the carpark areas are being used for overnight camping by motor homes/vans and also transport trucks which has created a number of amenity issues for the nearby residents and preventing cars and boat trailers from parking. Prior to writing this report letters were sent to the Macksville & District Chamber of Commerce and Industry and the Nambucca Tourist Association as staff were aware that there may be differing views in regard to overnights stays/camping at this site. Secretary for the Macksville & District Chamber of Commerce and Industry Ms Janine Reed has advised that the Chamber does not support overnight camping and has suggested that a parking curfew be imposed on the car park between 5.00 pm and 9.00 am (see attached). The Nambucca Tourist Association had not formally responded at the time of finalising this report, as they were in caretaker mode pending their AGM on 24 November. 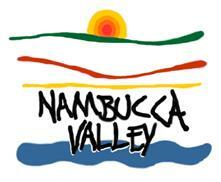 However, Ms Elanora Snart, Secretary of the Nambucca Tourist Association has advised that they will furnish Council with a formal response prior to the Council meeting of 2 December which will be circulated to Councillors. Whilst the Macksville Chamber have suggested a parking curfew, such curfew would not be in the spirit of the day use activities as fishermen and river users use the river outside these hours. In fact many fisherman launch prior to dawn and others at night. Water skiers are permitted by law to use the river between sunrise and sunset. To impose a curfew as suggested is not supported. However, signage referring to day users only and prohibiting overnight camping should be sufficient to maintain the amenity in the area. It is proposed that to minimise the number of signs in this location, one larger sign of approx dimensions 1500mm x 1200mm be installed at the rehabilitated and line marked car park area that is visible even when the car park is being used which indicates prohibition of overnight stays in vans, camping, fires (not in fireplaces) and parking of large vehicles. In addition, it is proposed to consolidate the signage that is currently installed to minimise the visual impacts and also to ensure that enforcement (if required) can be achieved. This matter is presented to Council as it has recently received representations from members of the Recreational Vehicles movement in an attempt to promote Nambucca Shire and Macksville as RV Friendly Towns. It is understood that this area is promoted in their member books, suggesting that camping is available at the Ferry Street location. The Caravan & Camping Industry Association of NSW wrote to Council on 29 October 2010, bringing to Council's attention the work they have done with the Department of Planning, Tourism NSW, LGSA, Campervan & Motorhome Club of Australia and themselves on the issues relating to illegal camping (see attached). The CCIA state "Illegal camping operations provide an unfair competition and threaten the viability of legitimate caravan parks". "Non-compliant and uncontrolled free camping potentially creates a number of issues and challenges for local authorities (irrespective of use by self-contained vehicles or not) such as: rubbish disposal, sewage and grey water disposal, adequate toilet facilities, OH&S and safety management, security, lighting, fire control etc. Clearly environmental damage and pollution is a major issue. The question needs to be asked; who is liable and who should pay?" The busy summer holiday period will no doubt see a significant increase in the use of this area and managing potential conflicts between overnight campers and day users will be addressed through the erection of the recommended signage. The control of camping in this area and the consolidation of signage will benefit the environment and amenity in the area. The public use of this area has increased following the completion of these works. The use of Environmental Levy to leverage additional external funds is a great outcome for Council and the community. The works undertaken have reduced Council's exposure and risk. The installation of the correct signage will ensure that Council and the Police are able to enforce the controls. The funds for this project were budgeted for in Council Environmental levy budget and supported through external grants and community in-kind contribution. Funds for the recommended signage are currently held within the Project budget allocation. Environmental Levy, Grant funds and in-kind contribution. No variation to working funds are required. To discuss traffic issues associated with DA 2010/234 ? Primary School ? Dudley Street , Macksville, a meeting was held of the Local Development (Traffic) Committee on 2 November 2010.? The minutes are attached for Council?s information. That the Minutes of the Local Development (Traffic) Committee held 2 November 2010, to discuss DA 2010/234, be noted for Councillors? information. Councillors may choose not to note the Minutes. Due to the scale of the development and the many traffic issues involved with the predicted traffic increases in Dudley and East Streets and the intersections with the Pacific Highway, Partridge and Boundary Streets a meeting was held with the Local Development (Traffic) Committee whose members include representatives from Town Planning, Engineering, the RTA and Police. An on-site meeting was held at Dudley Street, inspecting the site and the east and west ends of the street. The Committee looked at the location of the proposed development and discussed issues relating to the upgrade of the road and also stormwater drainage issues related to road construction as well as looking at the intersection of East/Dudley Streets, and Partridge/East Streets. All concerns raised by the Committee are outlined in the attached Minutes. Any environmental issues will be dealt with in the assessment of the application and appropriate conditions recommended for any approval. Social considerations have been outlined in the application SEE and these will be considered by Council when preparing the report for the JRPP. All economic risks and assessment form part of the assessment process for the application. All risks will be considered as part of the assessment process for the application. There are no perceived costs to Council on current or future budgets. There are no perceived variations to working funds. That Council?s Ranger continues surveillance of the Skate Park and that Council receive another report on the outcome of that surveillance. This report includes the summary of the Rangers records when attending the Nambucca Skate Park, from 21 August 2010 to 15 November 2010. 1????????? That the record of surveillance undertaken by the Ranger be noted. 2????????? That the Ranger continue surveillance, however no further reports be presented to Council except where it is considered that a matter needs to be brought to Council's attention. Council has the options of not noting the Ranger?s surveillance report and requiring further reports. The Council Ranger who works 3 days per week on a rolling roster, has undertaken surveillance of the Nambucca Heads Skate Park on different days of the week and at different times and has recorded those visits in the following Table. Huge amount of litter on ground around all sides of skate park. Mostly empty drink cans, plastic bottles, food wrappings, empty bourbon carton on ground. Empty beer bottles in tin bin with empty wine cask. Tin bin only half full. Red bin at gate empty. The risks were considered in the Audit undertaken by the Community Safety Projects Officer. There are no impacts on budgets. There are no funds required. There are no attachments for this report. ?? Parts of Wallace St, Reid St, Harrimans Lane and Upper Warrell Creek Rd were within a Travelling Stock Reserve (TSR). In 2007, as part of a State-wide program, the Crown Lands Office revoked this Reserve and created several separate Crown Land Lots. The effect of the revocation was to negate the inherent rights of public access across TSR?s. Wallace Street was excluded from the Crown Land, but not defined. Crown Land Lots 7014 DP 1110376 and 7005 DP 1110377 were created between Wallace Street and the adjoining residential lots. These residential lots, including those fronting Fairway Cove, do not have legal access to Wallace Street. Clauses 18-21 of the Roads Act 1993 allow Roads Authorities to identify the boundaries of a public road if those boundaries have not been previously defined. To this end I have prepared a draft plan defining the boundaries of Wallace Street. The road formation is wholly within the boundaries and the western boundary is contiguous with the adjoining residential lots, thus resolving the access issue. DA2008/267 requires the acquisition of part of Crown Land Lot 7015 DP 1110376 in conjunction with the construction of Harriman?s Lane. This land is shown as Lot 1 in the draft plan. To provide contiguous access from Wallace Street to Upper Warrell Creek Road I have also created Lot 2. Lots 3 and 4 have been included in the draft plan to provide legal access to Council infrastructure and the Macksville Country Club respectively. 1??????? That Council approve the plan of redefinition of Wallace Street pursuant to Clause 18-21 of the Roads Act 1993. 2??????? That Council cause notice of the proposed road boundaries to be published in a local newspaper and notify the owner of each parcel of land affected by the proposed boundaries. 3??????? That Lots 1, 2, 3 and 4 of the draft plan (being part of lot 7015 DP1110376) be acquired by compulsory process for road purposes pursuant to the Land Acquisition (Just Terms Compensation) Act 1991. 4??????? That minerals are excluded from the proposed acquisition. 5??????? That the proposed acquisition is not for the purpose of resale. 6??????? That approval for the acquisition is sought from the Minister for Local Government and the Governor. 7??????? That the common seal of Council be affixed to all documents associated with the acquisition and road redefinition, if necessary. 8??????? That the applicant in DA2008/267 shall pay all costs involved in the acquisition of Lot 1. The redefinition of Wallace Street and the acquisition of Lots 1 - 4 could be done in separate plans of survey. To my knowledge Council has not used the provisions of Clauses 18-21 of the Roads Act before, and they can only be invoked when the existing public road is not defined by survey. In effect, all Council needs to do is advertise the proposed boundaries, notify the adjoining owners and prepare a plan of survey suitable for registration at LPINSW.? It is difficult to establish if Native Title exists or has been extinguished over Crown Land. Only by following the provisions of the Land Acquisition (Just Terms Compensation) Act 1991 can Native Title interests be acquired by Council. The Deferred Commencement Condition 1(a) (DA 2008/267) requires the applicant to initiate the acquisition process. The LPMA advise that private individuals cannot acquire land pursuant to the Land Acquisition Act 1991. Council has since advised the applicant, that Council will co-ordinate the acquisition, and that their obligations as regards to this component of the deferred consent condition 1(a) has been resolved. LPMA also advise that one plan of survey combining the re-definition of Wallace Street and the acquisition of Lots 1 - 4 for road purposes would be accepted for registration by the Registrar General, thus saving plan preparation costs and lodgement fees. Crown Lands (Taree) advise that they will offer no objection to the matter proceeding, but will claim compensation for all Crown Land proposed to be acquired. It seems reasonable that the applicant in DA 2008/267 should pay valuation and legal costs including compensation to the LPMA, for the acquisition of Lot 1 and its subsequent dedication as public road. There are no perceivable social impacts. The issue of legal access may impact upon the saleability of lots fronting Wallace Street. There could be issues regarding liability if the access roads remain Crown land. There is provision in the Survey budget (3200.350.410) for lodgement fees and compensation. There are no additional funds required. ENVIRONMENTAL MANAGEMENT PLAN - DEVELOPMENT CONSENT DA 2008/267 (PROPOSED INDUSTRIAL COMPLEX FOR MANUFACTURING BUSES) - LOT 1046 DP 826440, 14 HARRIMANS LANE, MACKSVILLE. It is considered that the ?Vegetation Management Areas? plan prepared by de Groot & Benson Pty Ltd (Drawing No 08022-EMP1) and the information provided in the EMP regarding vegetation management has been addressed to Council?s satisfaction. The information provided in the EMP regarding waste management has been addressed to Council?s satisfaction. ?measures to soften the visual effect of the proposed development and reinforce the biodiversity values of the site. It shall also include the mature and well advanced vegetation plantings proposed to mitigate noise as referred to in the Acoustic Report.? Any such plan approved by Council would be used to ensure that the site is landscaped to Council?s satisfaction in accordance with condition 47. In the absence of a detailed landscape plan the proposed development could not comply with condition 47, which requires ?the site to be landscaped in accordance with the approved plan.? Having regard to the above, it is not considered that the information provided in the EMP regarding landscaping has been addressed to Council?s satisfaction. ?????? The plan does not detail how the runoff from the site is going to be treated. Details required prior to issue of the CC. The plans prepared for the Construction Certificate Application should include details to reflect the above advice and submitted in accordance with condition 12. Notwithstanding the above, it is considered that the information provided in the EMP regarding stormwater management has generally been addressed to Council?s satisfaction. Council?s Environmental Compliance Officer has advised that the ?Sediment Control? plan prepared by de Groot & Benson Pty Ltd (Drawing No 08022-EMP2) and the information provided in the EMP regarding soil and erosion control has generally been addressed to Council?s satisfaction. The sediment control plan will be used to ensure compliance with conditions 31, 41 and 42. The information provided in the EMP regarding potential acid sulphate soils has been addressed to Council?s satisfaction. Upon submission and approval of a detailed landscape plan prepared by a suitably qualified person, Council will be satisfied that the applicant has complied with deferred consent condition 1(c). With respect to deferred consent condition 1(a) you are advised that Council is currently preparing a survey plan to be submitted with an application to the Department of Lands for the acquisition of Crown Land along the Harrimans Lane and Upper Warrell Creek Road frontages. This will provide on-going legal access for the subject property and other properties in this locality. The acquisition of Crown Land will also allow road construction and improvements to be undertaken without referral to the Department of Lands. As such, there is now no need for the applicant to initiate the acquisition process. This component of deferred consent condition 1(a) has therefore been resolved. Notwithstanding the above, before deferred commencement consent condition 1(a) is complete, the applicant is required to provide a written undertaking that he will pay for his share of the valuation, and any compensation payable to the Department of Lands for the Crown Land required for access to the subject property. The applicant is also required to submit details of the access arrangements for Council?s approval. In accordance with previous advice, it is understood that de Groot & Benson has been engaged by the applicant ?to prepare a concept plan to identify the extent of road upgrading required for the approved industry?. Upon receipt of a written undertaking from the applicant that he is prepared to pay for the valuation and compensation, and submission and approval of the concept plan, Council will consider that deferred consent condition 1(a) has been satisfied. It is understood that deferred consent condition 1(b) has not yet been satisfied. The purpose of this condition is to ensure that suitable arrangements can be put in place for the on-going management and maintenance of a private sewer system that connects into Councils reticulated sewer system. It is suggested that arrangements be made for a meeting with me and Richard Spain, Manager Water and Sewerage, to discuss the requirement for the preparation of a deed of agreement and/or another suitable method to satisfy the objectives of deferred consent condition 1(b). For any other information or advice, do not hesitate to contact me on 65 680260. The above lots were created in 2007 for the purpose of Crown Land Conversion.? The effect was to negate legal access to Wallace Street for many of the residential lots. As Wallace Street in this area is undefined, Council intends to establish the boundaries of the road pursuant to Section 18-21 of the Roads Act 1993. I enclose a draft plan showing the proposed redefinition of Wallace Street.? The formation of the road, as shown in green, can be kept for the most part within a 20 metre wide road reserve.? The western boundary of the road is now contiguous with the adjacent property boundaries thus solving access issues for those properties. The draft plan also shows four lots numbered 1 ? 4.? It is intended to acquire these lots for road purposes pursuant to the Land Acquisition (Just Terms Compensation) Act 1991, subject to approval from the Department of Local Government. Lot 1 is an extension of Harrimans Lane.? Council has given approval for an industrial development which uses Harrimans Lane for access.? Council requires the developer to provide an intersection ?treatment? at right angles with Upper Warrell Creek Road.? This would occupy most of proposed Lot 1. Lot 2 is required to provide contiguous legal access across the Crown Land for Wallace Street and Upper Warrell Creek Road. Lot 3 is required to provide legal access to Council infrastructure and a private dwelling as shown on the draft plan. Lot 4 is the access road into the Macksville Country Club and is required for legal access. It is intended to dedicate Lots 1 ? 4 as Public Road, pursuant to the Roads Act 1993. The Crown Lots 7014, 7015 and 7005 were originally part of a Travelling Stock Reserve traversed by Wallace Street (the old Pacific Highway).? Old subdivision plans and even recent ones such as DP 1127705 show Wallace Street (or the Pacific Highway) as variable in width and contiguous with the boundaries of the subdivisions. It appears that the LPMA is responsible for the legal access problems in that it created the Crown Land lots which negated access rights inherit with Travelling Stock Reserves. Council, by redefining Wallace Street, acquiring Lots 1 - 4 and dedicating them as Public Road, will fix the problem and it would expect the LPMA to forgo its interest without compensation. I would be pleased if your office would provide in principal, agreement to the proposed acquisition of Lots 1 ? 4, together with your comments regarding compensation. ?Council will accept the dedication of the proposed public road access and will instigate the necessary acquisition procedure over the Travelling Stock Reserve to permit access from the Pacific Highway.? In March 2002 the Department of Land and Water Conservation issued a licence giving approval for the developers to construct access across Travelling Stock Reserve (TSR) 17481 on the undertaking that Nambucca Shire Council accept responsibility for the acquisition of land within the TSR for Public Road. Since that time the TSR has been revoked and the land converted to Crown Land Title being Lot 7015 DP 1053484. The development consent for the proposed rural residential subdivision was issued in July 2002 (DA 2002/013) without a condition requiring acquisition of the Crown Land for access and no provision for costs involved was made. 1??????? That Council acquire that part of Lot 7015 DP 1053484 necessary to provide legal access from Oyster Drive to the Pacific Highway at Valla. 2??????? That such land be acquired by compulsory process for road purposes pursuant to the Land Acquisition Act (Just Terms Compensation) Act 1991. 3??????? That minerals are excluded from the proposed acquisition. 4??????? That the proposed acquisition is not for the purpose of resale. 5??????? That approval for the acquisition is sought from the Minister for Local Government and the Governor. 6??????? That the common seal of Council be affixed to all documents associated with the acquisition, if necessary. 7??????? That Council issue a Subdivision Certificate and release the plan of subdivision for registration prior to finalisation of the acquisition. 8??????? That the applicant in DA 2002/013 shall pay all costs involved in the acquisition. Council may decide to take responsibility for the costs involved in the acquisition. Council may decide to retain the subdivision plan until the access over the Crown Land has been formally acquired and dedicated as Public Road. This could take at least 6 months to achieve. The Department subsequently issued a licence in March 2002 subject to the commitment of its Director. Unfortunately the acquisition was not included as a condition of development consent and this matter was first identified by Council?s Senior Development Planner in March 2010, in a letter to the developers, advising them that an application should be made to the Land and Property Management Authority to acquire that part of the Crown Land required to facilitate legal access. It is difficult to establish if Native Title exists or has been extinguished over Crown Land. Only by following the provisions of the Land Acquisition (Just Terms Compensation) Act 1991 can Native Title interests be acquired by Council. The LPMA advise that private individuals cannot acquire land for road purposes using the Land Acquisition Act 1991. The issue of legal access may impact upon the saleability of lots from the Oyster Creek subdivision. There is no provision in the budget for lodgement fees and compensation if Council accepted this responsibility. There are no additional funds required if the applicant meets all costs. I refer to your subdivision certificate application and raise the following issues that will require additional information or clarification prior to release of the subdivision certificate. Conditions 4 & 5: Contributions to be paid or alternatively a request made to Council for deferment of contributions in accordance with Council policy. Condition 12: Payment ($50,000) for water quality monitoring to be made to Council. ? Condition 13: Detention ponds to be landscaped with native species as recommended in the Jelliffe Report. Condition 15: Provide all weather gravel access to Lot 3 minimum width 3m. Condition 22: Landscaping bond ($1,000) to be paid. Condition 23: Cleared areas covered by transmission easement are to be revegetated. Particular attention should be directed to landscaping along the southern boundary of Lot 4, which may assist in the event that the buffer width is reduced. Condition 28: Landscaping corridor 10m wide to be planted along the eastern boundary of Lots 9-15 inclusive.? Condition 29: Detention ponds to be fenced or alternatively the requirement for fencing to be removed through a Section 96 modification process. Condition 38: Proposed road reserve (Lot 45) to be fenced and dedicated as road reserve. Condition 39-41: Council?s Manager of Water and Sewer has previously sent correspondence outlining works to be completed. Please direct any further enquiries to Richard Spain. Condition 43: Easement over existing fire track (R1) to be extended along northern boundary and connect to 5m wide access/electricity easement through Lot 16. Refer also to condition 56. Condition 51 & 52: Validation notice to be submitted to Council. Condition 58 (b): Despite the terms of the condition, it should be noted that Council is not the approval or licensing authority for groundwater bores and reference should therefore be made to the Department of Environment, Climate Change and Water on page 15 of the Design Guidelines. Condition 60 (i): An 80 metre buffer setback to southern boundary is indicted on the approved plan. Clearly the buffer cannot be incorporated into the proposed plan of subdivision and would impinge on the future development of Lots 3, 4 & 5. A reduced setback that includes a vegetation buffer may be acceptable to Council subject to a Section 96 modification process. Refer to condition 23. The 60m buffer from the rail line to Building Envelopes on Lots 13 & 14 would also appear to be questionable. ???? Sheet 1 Items 1 and 3 check that positive covenant (SA) and easement to drain water (D) apply to Lots 1 and 40. Not carry out works for or erect any building (habitable or otherwise) outside of the identified building envelopes (marked as B.E on the plan) unless they have first obtained the Council?s approval to a Site Assessment for the building to be located outside of the Building Envelope for the Lot burdened. ???? Change definitions as required. ???? Change Dwelling Envelope (D.E) to Building Envelope (B.E) on plans of subdivision and Section 88B instrument. ???? 9.1(e ) insert (Marked K.C on the Plan) after Koala Corridor. ???? A positive covenant should be added to all lots requiring that areas within building envelopes be maintained as asset protection zones in accordance with Planning for Bushfire Protection Guidelines 2006. ???? Consider inserting restriction relating to construction standards for noise and vibration from road and rail. Refer condition 60(f). ???? Consider inserting a requirement that all fencing should not obstruct the free movement of Koalas to pass through and over the fencing. Access to the site from the Pacific Highway (Oyster Drive) is over Crown Land (Lot 7015 DP 1053484). An application should be made with Land and Property Management Authority (formerly the Department of Lands) to acquire that part of the Crown Land required to facilitate legal access. I have enclosed a plan of DP 1053484 for your information. Given the complexity associated with finalising the plan of subdivision and 88B instrument and the fact that further changes may be required as we process your application, I am willing to review a second Draft prior to you finalising the documentation for lodgement with Council. Should you require any further information, please contact me on 6568 0225 between the hours of 11.00 am and 1.00 pm daily. The schedule for the approved natural Disaster Projects for 2009 has been finalised.? Due to the volume of works it will not be possible to complete these works within the current financial year. To avoid confusion it is proposed to split the schedule into two parts, for the current and next budget respectively. The total claim for all approved restoration works is $5,535,424 (Five Million, Five Hundred and Thirty-Five Thousand, Four Hundred and Twenty-Four Dollars). A schedule of the projects is circularised. The restoration of Bellingen Road is the subject of further consideration.? Any costs associated with this road will be in addition to the current approvals. Final estimates for all approved flood damage projects have been submitted to the RTA.? A Work Schedule has been issued, however due to the volume of work it will not be possible to complete the program in the current financial year. Total expenditure to 30 October 2010 is $1,878,997 being $1,487.318 in 2009/10 and $391,679 in 2010/2011. The future of Bellingen Road is yet to be determined and any restoration works will be additional to the current approved projects. In order to avoid confusion and revotes it is proposed to split the schedule into two parts. The area of major concern is the bridge construction program.? Council has three bridges on Missabotti Road identified in the 2010/11 budget for construction by day labour.? In addition there is a carry over from 2009/2010 plus three flood damaged bridges. All other projects are programmed in accordance with the schedule attached. There are no issues for the environment as a result of this report. A delay in the reconstruction of Johns Bridge may cause a minor disruption to the previous level of access to Missabotti Road. There are no risks as a result of this report. There is no impact on the budget as the proposed deferral is fully funded by the RTA.